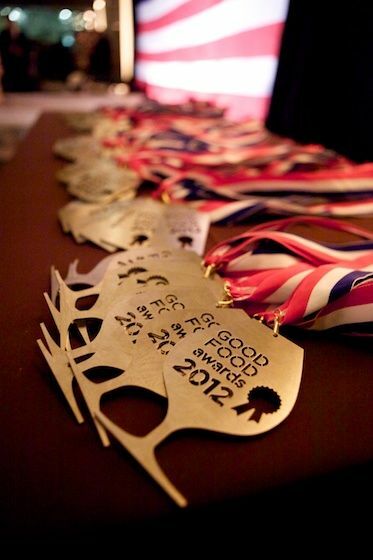 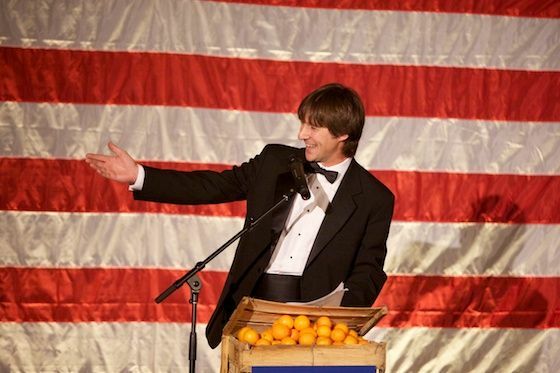 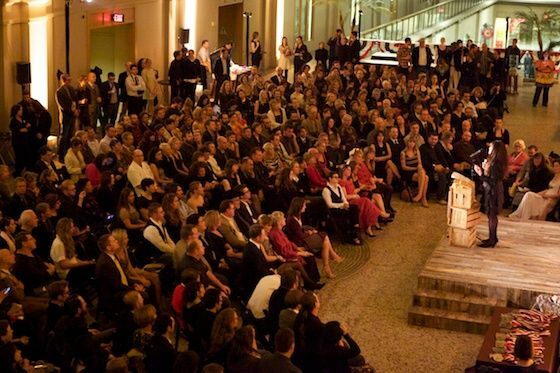 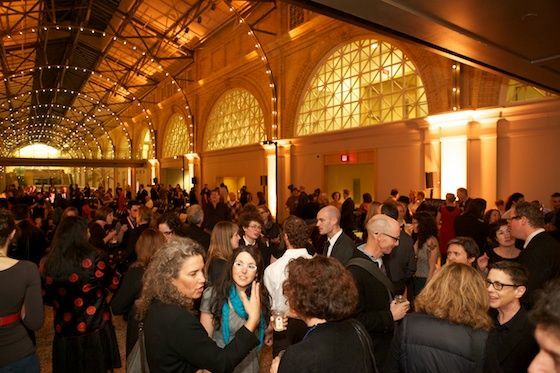 What You Missed at the Good Food Awards, Last Friday in S.F. 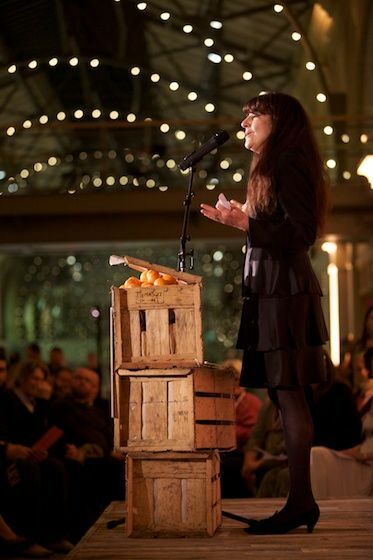 Ruth Reichl delivering her keynote address. 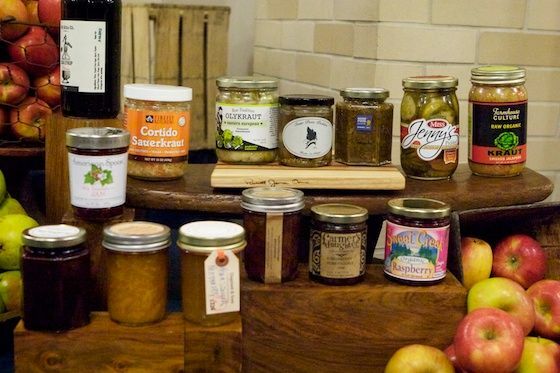 Ruth also served as a judge in the preserves category. 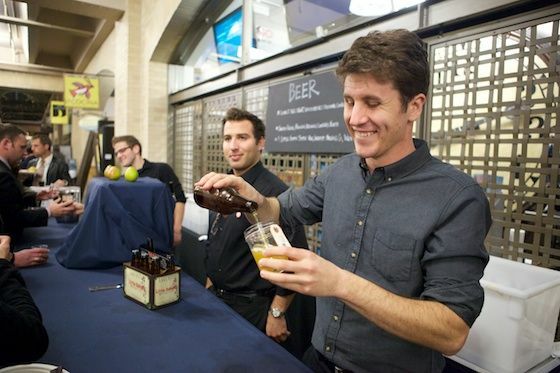 La Cocina's Caleb Zigas doing some introductions. 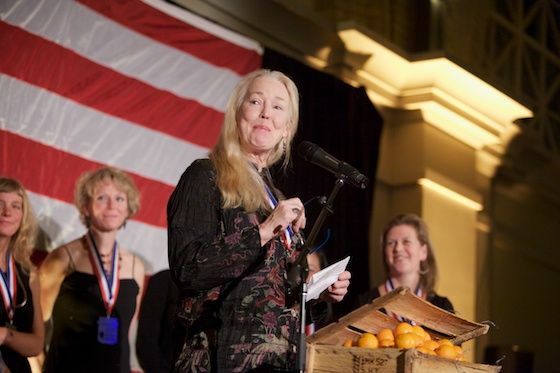 Famed forager Connie Green, who won a medal for her Wild Elderberry Shrub from Wine Forest Wild Fruits. 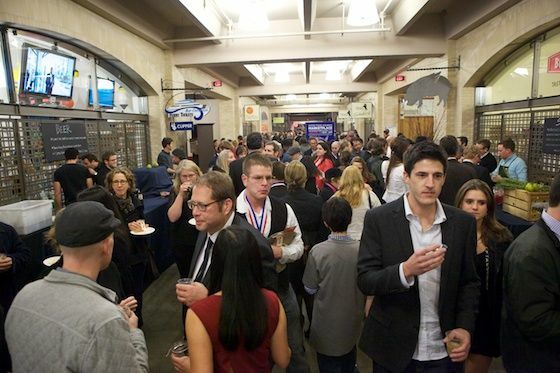 The scene at the reception afterwards, in which people could taste samples of products from all the winners, organized by region. 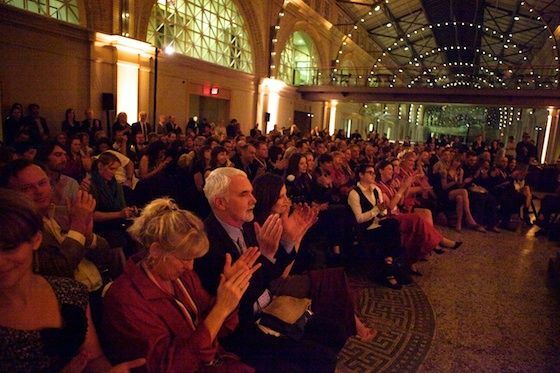 In the foreground to the left you can see chef David Kinch with girlfriend Pim Techamuanvivit of Chez Pim fame. 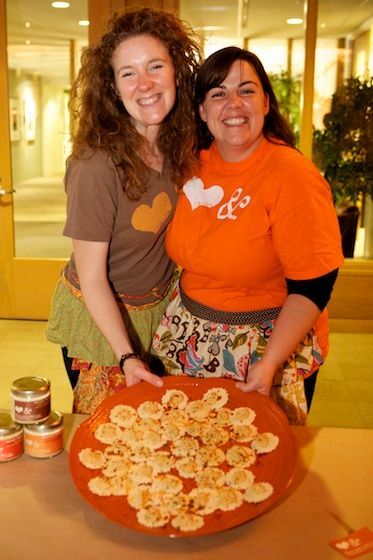 Love & Hummus, which didn't quite fit in one of the awards categories and therefore did not take home a medal, were offering tastes too. 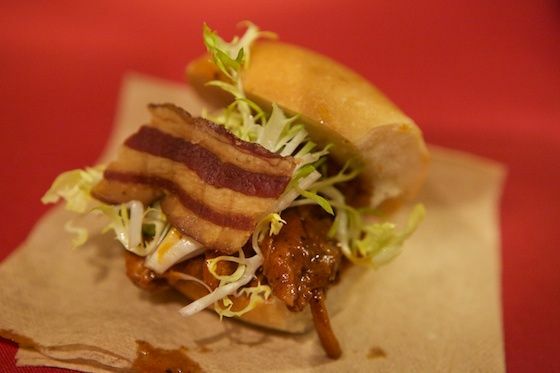 A tasty slider from S.F. 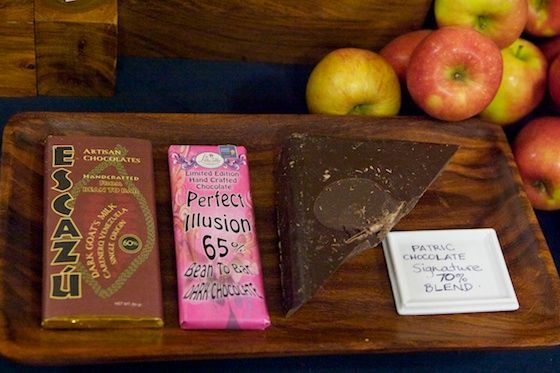 's Bi-Rite Market, featuring a bunch of ingredients, all of which were listed, of course: this was smoked pork shoulder rubbed with Kickapoo Coffee's organic Biloya Yirgacheffe, with an ancho-chile BBQ sauce made with Patric Chocolates' 70%; a slice of La Quercia's country-cured bacon; and topped with Anne's Raspberry Farm's savory Brussels sprout relish (a winner in the pickles category). 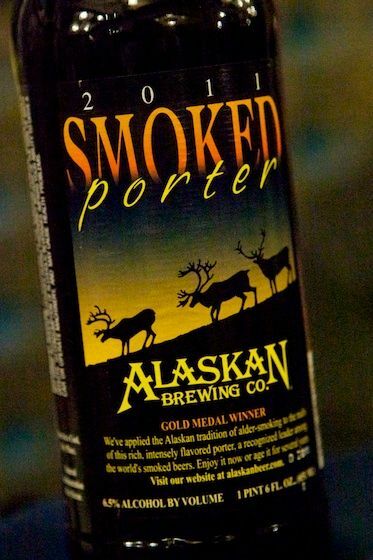 One of the winners in the beer category: Alaskan's smoked porter. 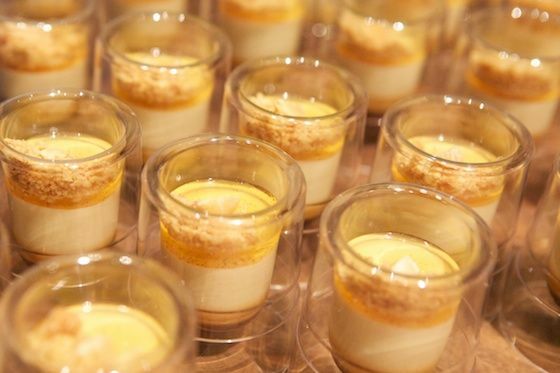 Michael Mina pastry chef Lincoln Carson brought along these maple custards with orange toffee and Marcona almonds, and topped with a vanilla custard and Death's Door white whiskey (a winner in the spirits category). 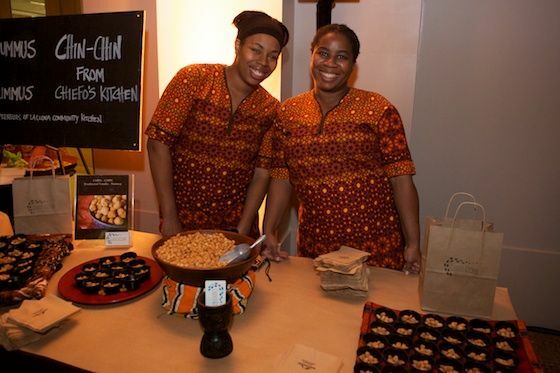 Chiefo's Kitchen brought a sweet snack: chin-chin, a fried dough snack popular in West Africa, which Chiefo's flavors with vanilla and nutmeg. 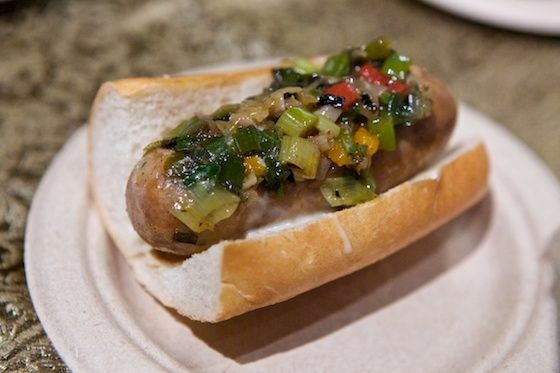 A sausage topped with relish from Absinthe. 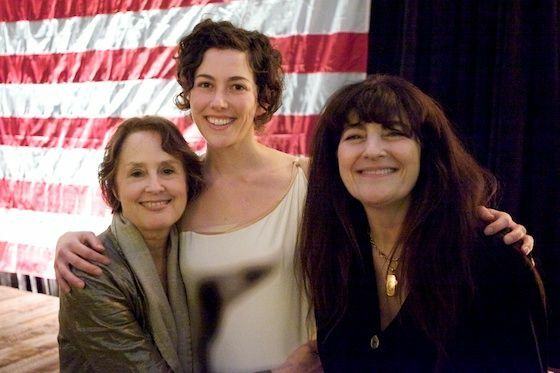 Alice, Sarah Weiner (executive director of the Good Food Awards), and Ruth.